In this blog I show you how to take an asp.net application and then code share both Razor Views and Business logic with a Xamarin.Forms native application. This integration will allow full sharing between the application, so changes to the Razor views or Business Logic will apply to both projects. The mobile application will also work completely offline in which the Razor Views and Business Logic run completely locally on the device. And that’s just the start of it! Imagine being able to jump in and out of native/web elements, sharing razor views when it’s a good fit and then jumping into a gorgeous native UI when you like. 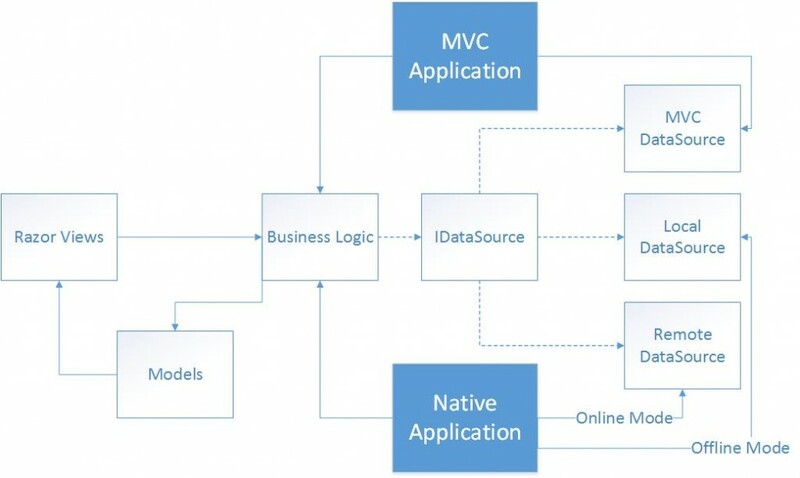 This blog takes a already existing ASP.NET MVC project that’s been setup as a sample application with typical Views, Script and Styles. 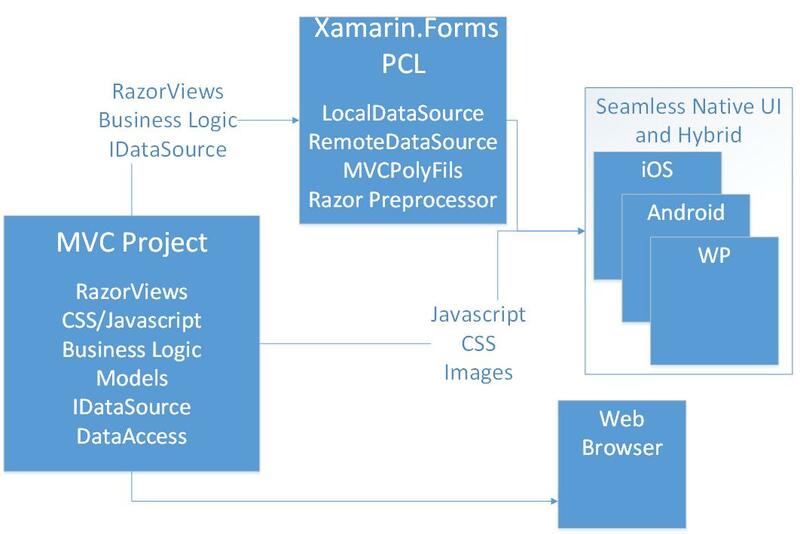 Create a new Xamarin.Forms PCL solution and place it in a directory next to the asp.net MVC project. Because we’re sharing files between projects the directory setup is important. 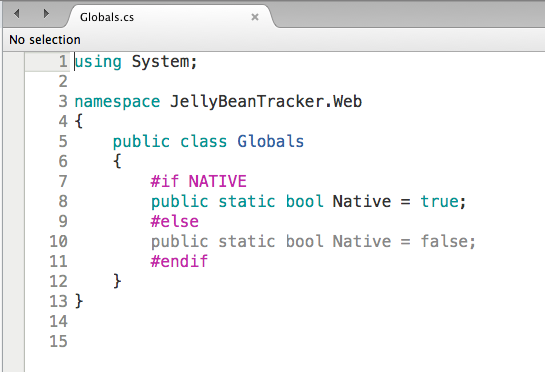 In this case we can call it JellyBeanTracker.Mobile. In this example I’ve added the files from the MVC project into the XF PCL project as ‘linked’ files. 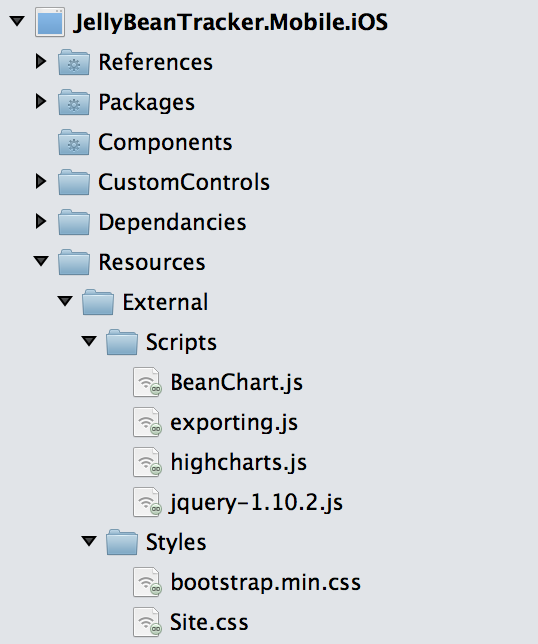 Create a new directory called ‘External’ and add the following files as per the screenshot. ps, to add files right click the directory and hit add files, Xamarin studio will then ask you if you’d like to link or copy files, in this case you need to link. For each of the razor files you need to right click->properties and set the Custom tool to the RazorTemplatePreprocessor. On the Razor page remove @model and replace with @inherits System.Web.Mvc.WebViewPage<T> (from MVCPolyfils). 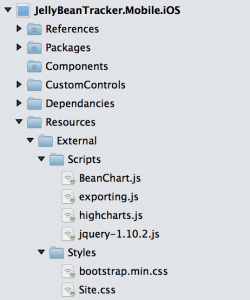 This step is required to have the file work in both MVC and the Xamarin. I’ve done a few modifications to the Xamarin.Forms.Labs project to get this to work and only just put it in my fork, so you’ll need to get the code from my fork until it gets put in the actual project. It’s possible to have shared business logic between both of the projects. You can share it via file linking, PCL or a shared project. In my sample application I’ve used file linking so it’s the same as the razor files. In order to share business logic between asp.net and Xamarin Native you need to code your business logic classes against abstractions/interfaces. If we take a look at the JellyBeanGraph Calculator we can see that it uses a IDataSource for it’s calculations. The IDataSource needs to be implemented in two or three places, two places if you’re not supporting offline and three place if you are supporting offline. As you can see in the sample project there’s two sources in the Xamarin project, a LocalDataSource and a RemoteDataSource. These two classes a switched between depending on if it’s online or offline. It’s not highly recommended to have logic within your Razor views but it is possible to have different view logic between the platforms. If you’re using file linking the best option is it use #ifdefs, to do this you need to add a compiler Symbol to the native project, as per screen shot. Once you’ve setup the compiler Symbol you can then add setup a static IsNative boolean value in a shared file. As per below. Finally you can add different functionality for the Native applications within your Razor views. In the open source project I’ve release with this blog post there’s the ability to use Partial views within the Xamarin app. If you provide the classname as a string into the partial the framework will pick it up and run the razor view locally. 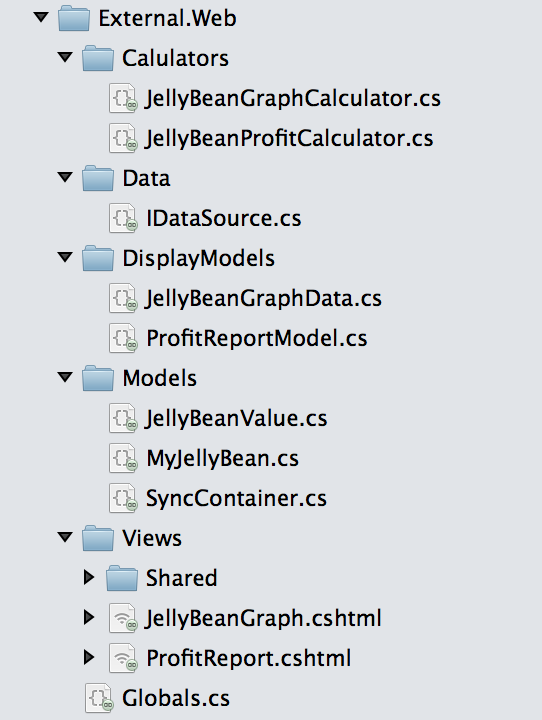 In order to have the partials work on both the MVC and Xamarin application you need to have the partial views come from a static variable on a class. 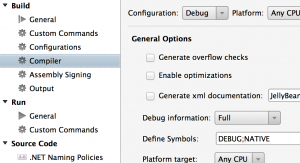 Registering a method with the HybridWebView. This one I’m a bit proud of as it’s pretty sweet. Using the HybridWebView you now have the ability to call a Native function and the return values of the Native function is injected back into the original closure. Also same as above this works with Mvvm. 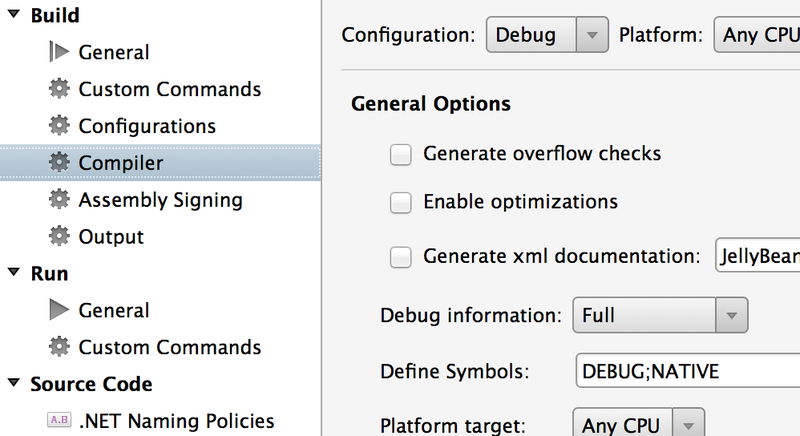 Another thing I should mention is Safari has the ability to debug UIWebViews, the setup details can be found here. Just another (awesome)tool for the belt! 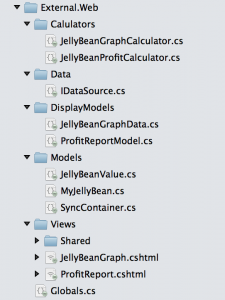 This is just one tool for the belt, it’s not the only mobile architecture that you can implement. There’s also the traditional Xamarin approach(Native UI for each platform) and Xamarin.Forms approaches which are still great architectures for mobile applications. So when should you use this Hybrid type solution? 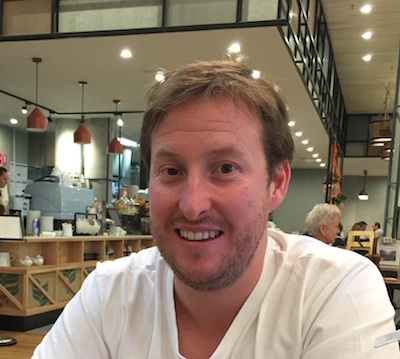 My personal belief is that using the HybridWebView is acceptable when the view is Not highly interactive as when interacting with a user you want to have everything looking and feeling native. Really it’s up to you to decided and initially it’s good to prototype and test within a device. Of course when you’ve got a large investment in web/mvc assets this is also a good choice. All the code is available on https://github.com/rid00z/JellyBeanTracker, currently it’s only working with iOS devices. I will attempt add other platforms soon. Excellent article. Perfecto! But i have a request to you. Could you upload Github? Thank you. Hi, yes it is on github. Have you thought about using Azure mobile services? I assume then you would only need 2 iDatasource : 1) for MVC and 2) for mobile (Azure mobile service handles online / offline). Does the Azure mobile services fit your pattern? Yes, this same concept could be adapted to work on Azure Mobile Services.